Relational Uprising is a training and coaching institute with a mission to build resilient, interdependent, and relational culture within communities working for social change. We work with frontline organizers from diverse movements, as well as with educators, facilitators, healers, young people, and community builders from all walks of life. Our residential training series is designed to give teams a deep experience of a culture of connection, belonging, and inclusion. We believe it is time for a new era of social change work in which we bring an intentionally humanizing, relational culture to our lives, organizations and movements. Our work presents a nuanced approach to issues of identity, intersectionality, and power using an embodied, relational practice of narrative and somatics. The inspiration for Relational Uprising was born from our 15+ years of learning at the intersection of deep social justice organizing work and somatic healing and education. Since 2012, before launching as Relational Uprising, the core curriculum for the Relational Culture framework was incubated, developed and launched in collaboration with Mark Fairfield, relational & Gestalt scholar with groundwork being laid since 2000 in group development, harm reduction and shared leadership, and founder of the Leadership Institute at the Relational Center, an innovative Los Angeles-based non-profit dedicated to building capacity for a shift in culture toward one that values empathy, diversity, and interdependency, and that sponsored our inaugural project called the Culture of Radical Engagement. 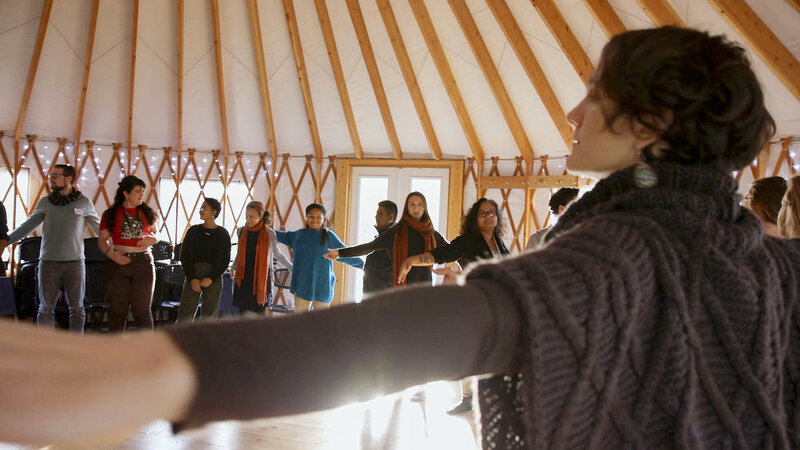 In the Fall of 2016, the Relational Uprising training project was launched with the sponsorship of The Watershed Center in Millerton New York, a social justice retreat center for changemakers, where we hold our main residential trainings. We are deeply inspired to be in relationship with many visionary movements, organizations and communities that are embracing and adapting our relational culture tools and principles as integral to their organizing efforts and “DNA.” We value our interdependent relationships with ECG at Hampshire College, Momentum, The Peace Poets, Schaghticoke First Nations, TightShift Laboring Cooperative, Healing Justice, Movimiento Cosecha, IfNotKnow, Sunrise Movement, and Real Food Challenge, among many others. Sign up with your email address to receive updates about Relational Uprising trainings, including new training announcements and application deadlines. Hear us on the healing justice podcast! "Through relational practices we learn how to build really strong relationships in which we can work better within our communities"
Cedar Landsman is a heart-centered community organizer, trainer, and consultant committed to deep community building for the purpose of radical social, economic and cultural transformation. She has worked in the field of social justice for over 15 years, from the global justice movement to the low-wage labor movement to the fight for a just and fair food system. She currently serves as Co-Director at Relational Uprising. Cedar holds a BA in globalization theory and social movement history from Hampshire College and Master’s degrees in Urban Planning and Latin American Studies from UCLA. Lucién Demaris has been a Somatics-based healer and educator for over fifteen years in the US and internationally, rooting his work in deep ecological values of mutual support and stewardship of the Earth. He was born and raised in Ecuador, and roots his work in the values of indigenous Kichwa and Shuar healers from his native land. He currently serves as Co-Director at Relational Uprising, where he developed a Relational Somatics frame for culture change makers. Lucién is a Guild Certified Feldenkrais Practitioner of Somatic Education and a Gestalt Practitioner in Community Engagement & Leadership. 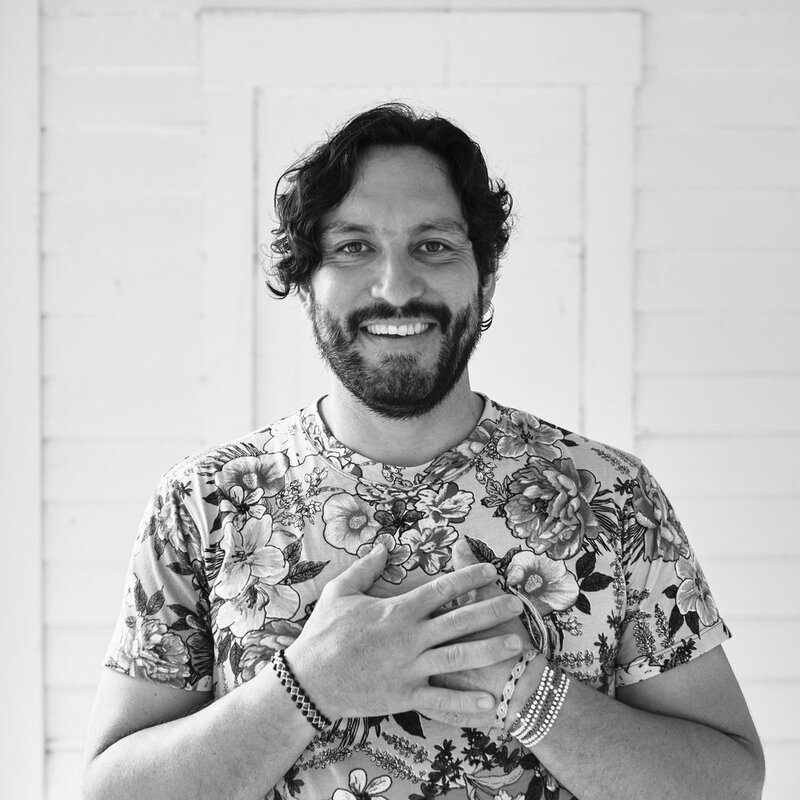 He is also an Acupuncturist with a Master in Chinese Medicine, a Nationally Certified Bodyworker, and a practitioner of the Art of Transformational Consulting. As our name implies, we teach a radical relational perspective on change work. As a change approach based on a ecological orientation, we view communities, organizations and movements as relational living systems with the capacity to self-organize, evolve, and co-emerge resiliently in response to changes in their environment; and we view them as composed of, and nested within, complex networks of creative dynamic and emergent interrelationships. We push against cultures that view organizational entities as machines, people as cogs and management systems as a control process. Our approach is grounded in social constructionism and relational phenomenological theory, and integrates Gestalt philosophy, social neuroscience, somatic perspectives and indigenous epistemologies which see humans as radically prosocial animals and culture as a vital site of intervention for ecological, social and individual resilience. Our approach is embodied (i.e., asserts that attending to the quality of our physical-emotional or somatic experience of connection to “what is” is a reliable way to allow change to emerge); it is developmental (i.e., assumes people are always striving to grow even in the midst of emergency, collapse, suffering, illness, hardship, oppression or poverty ); it is existential (i.e., understands each human identity to be emergent, fluid and responsive to the compelling relational tasks confronting us in each given context and culture). It is also grounded in public narrative and public dialogue (i.e., assert that human contact and relating through appreciative dialogue and values-based narratives are the most reliable methods for gaining access to others’ perspectives and experiences, to be influenced and changed by them, and also to construct and organize a collective narrative for social change and shifting culture). It is also grounded in deep ecology (i.e., asserts the need to cultivate a culture that remembers and reclaim our role as living beings and stewards that rise to the challenge of embracing diversity and complexity in a living interdependent Ecosphere).